We all know how important it is to save money. You need to have three to six months of living expenses in your emergency fund. You should also make saving for retirement a priority. And what about that nest egg? For many, getting started is the hardest part. Enter the 52-Week Savings Challenge, a method that promises you nearly $1,500 saved at the end of the year by putting away just dollars a week. Here’s how it works. You start by saving just $1 the first week of the challenge. Pop it in a jar on your counter without a second thought. The next week, put away $2, and the next, $3. You get the idea. By the end of the challenge, you are saving more than $50 a week, bringing your total amount saved to just under $1,400 by the end of the year. Not too shabby, right? If you’re considering whether the 52-Week Savings Challenge is right for you, read on for more on this savings method. It’s fairly easy for anyone to set aside just $1 a week, especially with a visual reminder such as a jar full of money sitting on your countertop. There is also an abundance of downloadable charts available online to manually track your progress as you watch your savings grow. Toward the end of the challenge is when it gets tricky. Socking away $50 a week in December may be tough, especially when you consider holiday spending, like gifts, travel, office gift exchanges, and holiday meals. Some experts suggest taking on the 52-Week Money Challenge in reverse: putting away $52 in week 1, $51 in week 2, and so forth. That way, you’ll end up just needing to save a few bucks a week during those expensive holiday months. Additionally, since $1 a week, $2 a week, $3 a week, etc. is such a nominal amount, it can be difficult to remember to set aside that money each week with everything else you have going on. Another potential challenge? Refusing the urge to raid your stash to tip the pizza guy or buy a coffee on the way to work. After all, it’s right there. For some, it might be easier to commit to a set amount to save per month, put in their savings account, mutual fund, or CD (depending on your needs and preferences for that money) at the beginning of the month, and forgetting about it. This way, your money will be working for you, (i.e., earning interest) rather than just sitting in a jar not earning a cent of interest. Ironically, if the 52-Week Money Challenge has taught us anything, it’s that every little bit matters. There is some wisdom behind the savings method. For one, you’re gaining momentum. For anyone working toward a financial goal, whether it be saving to buy a home, pay off debt, or going on that dream vacation, momentum can make or break your success. Some may argue it’s easier to set aside a set amount per month. For example, to reach the same savings goal of $1,378 as you would with the 52-Week Savings Challenge, you’d have to save roughly $114 a month. It might be a bit trickier to find that money at the end of the month rather than as you go along. Think about it. You’ve paid your monthly bills, satisfied any debt payments, doled out your monthly living expenses, and covered an unexpected emergency. Do you have $114 left to set aside? Suddenly, a few bucks a week seems much more doable than over $100 at the end of the month when cash is tight. 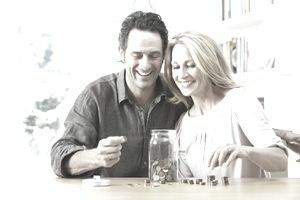 While the 52-Week Savings Challenge might not work for everyone (and may not even be the best financial choice, considering your money is just sitting in a jar, not earning interest), we can all agree on one thing, which is that saving money is good. Getting started is half the battle. And sticking to a savings plan will set you on the path to financial success. For those looking to pad their emergency fund or just get started saving, the 52-Week Savings Challenge may be a great option. After all, those visual reminders can be powerful saving cues. But it’s not the only option, and you should do your research when embarking on a savings plan to ensure you pick the plan that works best for you.